Nebojsa Malic describes himself as a historian by education and a political analyst, columnist and blogger by circumstance. Having his name stamped on many a prolifically written political analysis, Nebojsa is best known for authoring blogs Gray Falcon (English, since 2004) and Sivi Soko (Serbian, since 2005), as well as contributing to online magazine Antiwar.com regularly, since 2000. He is also a frequent guest commentator on Russia Today and continues contributing to an array of political analysis publications in Serbia. Born in Sarajevo, Bosnia-Herzegovina, thirty-seven years ago, he has been living in the United States since 1996. He currently resides in the Washington, D.C. area. His sophisticated, witty style, uncompromising, razor-sharp, thus controversial attitudes and smart cynicism earned him many fans and followers as well as scorn and criticism from anti-Serbian propagandists. SLM: You are one of the best known Serbian political bloggers in the United States. Please profile your audience? NM – Very eclectic. There are Serbs, of course – both recent arrivals and older, second- or third-generation folks. But there are also Americans, Greeks, Romanians, Russians, Italians, etc. I am constantly surprised by fans who contact me from all over the world. They recognize something in what I write about that applies to their own situation, I guess. SLM: A reader would consider you a Serb nationalist and an anti-globalist of sorts. How would you describe your ideology in a nutshell? NM – It is difficult, because I would have to use labels that are prejudiced in advance. “Nationalist” is basically a label invented and used as an insult by anti-nationalists (first Communists, then globalists). I prefer patriot, something that ought to be completely normal and non-controversial by itself. I do oppose the postmodern omnipotent state, and its ultimate manifestation, trans-nationalism, because I consider them tyrannical. I also favor liberty (and the responsibility that comes with it). SLM: What is a place for a perceived Serb nationalist writer in the United States? NM – Not in the mainstream media, for sure. But that is the beauty of the Internet, which has freed people from the constraints of the mainstream. If you don’t like the New York Times’ coverage, there is stuff like Antiwar.com (where I’ve been a columnist for 14 years now) which will give you more accurate information. On the other hand, the Serbs seem obsessed with trying to put you into a box: Chetnik or Partisan, Democrat or Progressive, monarchist or republican, “ours” or “theirs”… And then we wonder why we can’t have nice things. SLM: Don’t you think it is like that with all groups of people? Black and White? Conservative and liberal? Republican or Democrat? Pro-Israel and pro-Palestine? Why do you think categorizing and branding individuals is a Serbian trait rather than a human one? NM: Everyone tends to categorize people, of course, but with most other groups the “tribal” identity is good enough to count you in; in the Serbian diaspora, being Serbian isn’t enough – you have to be the “right” kind of Serbian. Nationalism – we’re doing it wrong. SLM: Any message to young Serbs feeling the nationalist pride, but fearing contempt or criticism or being unable to manifest it properly? NM – Any society that insists you be ashamed of your identity doesn’t deserve your loyalty. One should never have to apologize for existing, for having a culture, a history, a tradition – especially one so honorable, pious and freedom-loving as ours. Be proud of yourself and your heritage, but don’t be a chauvinist – i.e. express it by denigrating others. Keep the high moral ground, the “choistvo” of our ancestors. SLM: I once read that Serbs were ranked number one in the world for having the highest self-esteem, probably in some kind of an entertainment blog. Would you generally agree, or would you say that Serbs are just full of themselves? NM: Possibly because of the sort of Serb behaviors I’m dealing with on a daily basis (in politics and the media), I see expressions of extreme negativity much more often. I dare say most normal Serbs have a healthy self-esteem, as well they should, while a small group of media and political “elite” (ha!) are doing their utmost to destroy it. SLM: The readers of your blog get your positions on the state of Serbdom perfectly well. Please illustrate it for the SerbLife reader? NM – For almost a hundred years now, the Serbs have been trying to escape from themselves, trying to be something else, so their false “friends”, rotten “allies” and ill-intentioned “advisers” would like them. And the more we do it, the worse off we are. The ironic thing is that ordinary Americans can totally relate to our core values – freedom, family, tradition. Many foreigners have fallen in love with the Serbs because of those values, not in spite of them. It is when we try not to be Serbs that we get lost and bogged down in misery and despair. Why pursue self-denial when it is so manifestly harmful? SLM: The last 20 years of Serbian history have been very tumultuous. These characters played important roles in the Serbian national progress. Please characterize them as historical figures. (Slobodan Milosevic, Radovan Karadzic, Zoran Djindjic, Milorad Dodik, Boris Tadic). NM: Milosevic started the process that gave us our identity back, but didn’t realize its repression in Yugoslavia was a feature, not a bug. Karadzic led the fight of Serbs to live in Bosnia and Herzegovina, which was recognized for the first time ever. Dodik is defending that recognition against all attacks, foreign and domestic. Djindjic and Tadic agreed to be used in attempts to reverse or obliterate all those gains; depending on how kind future historians may be, those two will be remembered either as traitors, or as footnotes. SLM: As an immigrant and a keen sociopolitical observer and analyst, how do you perceive the role of the American Serb Diaspora in the overall Serb national affairs? NM – I’m an accidental immigrant; I didn’t mean to stay here permanently, it just kind of happened. So perhaps my perspective is a little different. Serbia believes we are all spoiled rich brats who refuse to share our immense wealth and instead just want to “enjoy life” while they suffer. Meanwhile, a lot of older people in the Diaspora have this image in their minds of what Serbia should be, and it doesn’t conform to reality. So both sides are angry and disappointed, because they are working from perceptions, rather than reality. But anger and bitterness don’t build a house. Those who wish to help will always find a way. SLM: That being said, whose shoulders does the burden fall on to reach out to the other side? NM: My feeling is that the Diaspora has more capacity to take the initiative right now, and should do so. SLM: Are there any Serbian activists that you follow or gain inspiration from either in Serbia or in the Diaspora? NM: I follow a great many patriotic activists, and link to many in a weekly feature on my Serbian blog. From people who organized resistance to “color” revolutions, documentary filmmakers, bloggers, humorists, songwriters… it is actually a very long list, and I’d hate to leave anyone out. SLM: And the last question, on a lighter side: what kind of music would top your playlist these days? NM: My music taste is all over the place, from Classical to Country. I’ve been on a Russian kick recently, so a lot of Elena Vaenga, Grigory Leps and the Alexandrov Red Army Choir. Does it irk you when Americans massacre the pronunciation of your perfectly wholesome Serbian name? It irks me. It frustrates me even more when American Serbs conform to the butchering of their own names to make it easier for non-Serbs. When Dušan becomes Dousanne or when Ivica become something to the effect of Eveekah. Or when Željko turn himself into Zelko. Am I expected to maim my centuries-old last name and turn Ivković into Ivkovick just because some people are refusing to try to hear me and pronounce it right? This phenomenon pisses me off not because I don’t want to accept the fact that we, like numerous other groups of non-Anglophone immigrants, should adjust to the language and customs of the culture that dominate the country we decided to move to. Not at all. If you wanted to remain 100 percent Serbian, linguistically and culturally, you should have stayed in the Fatherland. (Even there, it’s increasingly more difficult, but that’s a different subject.) What bothers me is the general unwillingness to make an effort and adjust correctly, at least when it comes to personal names. There is a way to adjust more correctly and although it may not be perfect, Serbian immigrants of older generations, mainly those who arrived prior to the Communist takeover of Serb lands, have done it with more sense. Visit any old Serbian cemetery in the States, read any church founder rolls, google any early-generation Serbian immigrant of note and you will find names spelled in a way that allows for their pronunciation to sound more organically Serbian, more correct. An Ivković that arrived to America in 1903 will adjust the written ending of the last name to sound Serbian rather than keep it only visually similar, while changing the pronunciation. So, he or she would substitute –ić for –itch or –ich, because the symbol ć does not exist in Latin alphabet the English language uses. Substituting ć for a c corrupts the last name and changes it. You may think it’s the same name, but if it’s not pronounced the same, it’s not the same. In linguistics, it’s called transliteration. By definition, transliteration is the conversion of a text, including names, from one alphabet or script to another. Now, I’m not a linguist, but one doesn’t have to be an expert to know that one’s name is first spoken and then written down in a language of one’s choice, using the alphabet of that language to transcribe the name. In Serbian, you write your name according to the rules of the Serbian language. And the rules exist, so, no, it’s not up to you to adapt them to your needs. You may corrupt them, and no one can stop you, but that makes you illiterate. The same goes for English; you adapt the spelling to the pronunciation according to the existing rules. Imagine if the Chinese or Arab immigrants decided not to adapt the spelling of their names, as they are pronounced, to the English language upon immigrating. Latin alphabet is just one of many world scripts and within it there is a multitude of varieties. When spelling a name of a non-English origin in English, one must use only the signs that English speakers can read, whether one is a Serb, Arab, Chinese or Armenian. Imagine if the spelling of Michael Jordan’s name was not adapted to the Serbian alphabets. In the Serbian Latin alphabet, MJ’s name is spelled Majkl Džordan, so the Serbs can understand who we are talking about. The transliteration is even more needed with names whose English spelling contains symbols that don’t exist in any of the Serbian alphabets, like q, y or w. And this goes for English-to-Serbian, French-to-Serbian or Bengali-to-Serbian transliteration. The ongoing misdirection and neglect partly came about after the World War II, when the Latin alphabet was imposed on the majority of Serbs. The Cyrillic alphabet was the script that dominated the literate parts of Serbdom for centuries. The Latin alphabet came to dominate after the Communist takeover in 1945. Its use in Serbia rapidly intensified through educational and commerical inclinations after the October Fifth coup in 2000. So, before 1945, a Serb from Herzegovina or Montenegro would have to transliterate his name from the Cyrillic script into the English Latin script, turning Ивковић most likely into Ivkovitch and preserving the essence of the name and its pronunciation. In more recent decades, a Bosnian Serb refugee would merely erase the diacritical mark in ć and be left with a c, perfectly acceptable in the English alphabet, but incorrect and transformative of the name. So, Ivković becomes Ivkovic, pronunciation ending in k, not ć. This changes the name completely. Thus, if we all still used Cyrillics in the Fatherland, upon coming to America we would have to look for transliteration solutions. Being accustomed to the Latin alphabet, we fall prey to the visual similarities and simply omit the differences that actually make sounds distinctive from one another, thus changing our own name. A lot of Serbs I’ve debated this issue with throw the I-refuse-to-change-my-name argument at me. Well, by refusing to transliterate, you are actually changing your name. If I spell my last name in way that allows Anglophones to end it in –ick, guess what? Yes, I just changed my last name. If I spell it ending in –ich or –itch, I just preserved its Serbian form. At the time when Serbian cultural institutions are paralyzed, to say the least, it is a small wonder that the people, left to their own devices, are going with the flow and simply letting this part of their cultural identity die, since, yes, the name is a crucial part of one’s identity. Most of the recent immigrant generations are guilty of this. It takes time and money to change one’s name and most of us decide to leave it alone. It’s a weak excuse though. Of course guidance by experts is needed to overcome this problem, but with that obviously lacking, people themselves can pay more attention and respect to the general rules of phonetics and linguistics that apply globally. I’m not about to prescribe transliteration rules for every Serbian name. First, as I said, I have no necessary expertise, and second, it is more important at this point to raise the issue than to debate solutions. Congrats to the Djokovic family. Everyone, especially the Serbian community is very proud of what Novak Djokovic has accomplished alongside his wife Jelena Ristic Djokovic. Stefan Djokovic was born in Nice, France on Tuesday the 21st. Who We Follow: DJ Bobby S.
DJ Bobby S. the DJ formerly known as DJ Drisd or better known as Bobby (Boban) Stankovic is taking on NYC nightlife in a new body. With a new mix that came out this October his style is ready to disarm nightclubs everywhere. Pick up his new mix right here on Souncloud.com. Click HERE for download. SLM: Bobby, what’s with the name change? DJBS: Well, the best way to put it I suppose is that I have sort of grown out of some of my old skin and wanted a change with a fresher newer look and more of a mature approach to my dj’ing style. SLM: Musically, where would you say your inspiration comes from? Which DJ could you most relate to and look up to that’s made it big in the scene? DJBS: My inspiration musically comes mainly from being a young teenager and growing up listening to rock and metal music in the early 90’s. As a drummer for over 15 years playing in bands and playing showcases for artists, beatmatching has sort of come naturally for me. As far as DJ inspiration, I would definitely have to say DJ’s such as DJ AM, DJ Premier and Q Bert who have paved the way for many other younger generation DJ’s. 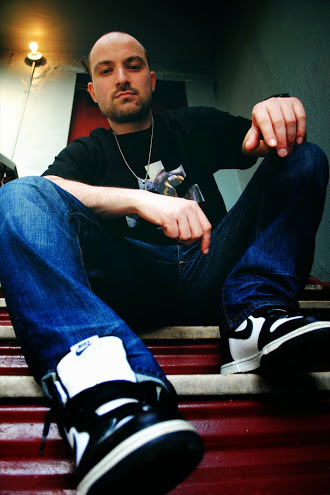 SLM: What do you think of Dragan Roganovic, also known as DJ Dirty South, probably the most famous and popular Serb DJ out there? DJBS: I think hes an incredible DJ/producer, and a great talent. He has developed his own style and really made a impact on the EDM scene globally. SLM: Any big plans coming up? DJBS: Currently I am working on traveling out to Serbia for a headlining performance at Catch night club in Novi Sad for a “NYC” Party Night, as well as some other nightclubs around Serbia. I am also keeping busy doing mix-tapes and playing all around New York City my hometown. SLM: What made you stop drumming? DJBS: I never really stopped, I’ve always had my drumset nearby, and always knew that i would keep playing. I grew up wanting to play the drums more than anything, and i will always see myself playing. Currently, im getting back into the studio to write more tracks and music with some old bandmates. SLM: What about the Serb Nightlife scene in NY? I know you work on some of the events and that mainstream music is your forte but how do you think it compares to other cities around the world? DJBS: Right now I think the Serbian Nightlife scene is like no other in the country. 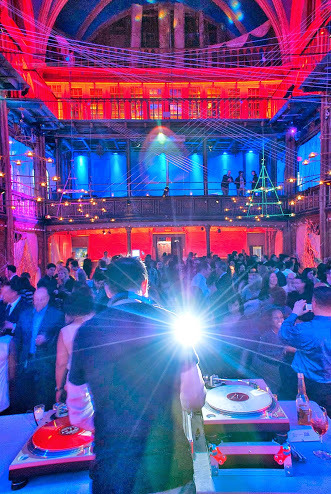 We produce Serbian parties at some of the most exclusive venues NYC has to offer. I think the Serbian nightlife scene in NYC has come a long way and I am very proud to say that i am part of it. It’s a great feeling to be able to bring such an experience to the Serbian Community in the NYC area. SLM:What’s your top Serb song at the moment and of all time? DJBS: Definitely the new Ceca album, probably “Brat”. I would have to say my favorite Serbian song to play live of all time would be Vesna Zmijanac – Ide Preko Cafe Del Mar that DJ DANE and Serbocharged shared with me from Sydney Australia. SLM: Any collaboration with the Club Parada guys in Australia coming up? DJBS: We are always up to something. Secrets. SLM: Secrets don’t make friends! Just kidding! SLM: What about mainstream, favorite of all time and current? DJBS: Right now some of favorite new tunes to play out live are tracks by Calvin Harris, David Guetta, Charli XCX, Ariana Grande and Iggy Azalea to name a few. My favorite tracks of all time to play would definitely be some of the older hip-hop from the 90’s and 2000’s. Along with many other Top 40 tracks. SLM: Would you ever think about moving somewhere else other than NYC? DJBS: I have always wanted to try living out on the West coast, San Diego/L.A. area. I have visited there several times and love it. I could see myself living there at some point. However, being born and raised in NYC its always a great feeling coming back because there really is no city quite like it. SLM: What’s your policy on song requests? DJBS: I feel as a DJ its important to know that you have to play for the crowd and give them an unforgettable experience. I always do my best to play songs that are requested and blend them in with my set, however its impossible to always be able to do that. SLM: Play out the scenario of an annoying drunk always approaching the DJ booth to play “vozi me na pale” at high tide? DJBS: That’s a hard question haha, usually it only happens once or twice, I press the mute button on him but security is very good at their job, thankfully. SLM: How’s the love life? Settling soon or still partying on? DJBS:It would be nice to settle down at some point soon, but it’s not always so easy to find the right one. I must admit I love the nightlife scene, and am grateful to still be part of it, and keep the parties going. SLM: I love the Red Hot Chili Peppers, and I understand you do as well. How do you really feel about them? DJBS: Its beyond love haha. The RHCP have been a great influence on me growing up with their amazing and unique style. They were never afraid to take their music to new heights and create a sound that is like no other. SLM: Let’s close off with some advice you can give to young-ins who want to go into the DJ scene? DJBS: I would always tell the younger DJ’s coming up, to constantly practice and craft your skill. Know what direction you want to take your DJ skills into whether it be production, turntabalism or both. Playing out live is also a great way to gain experience with the crowd, and nightlife promoters etc. He’s Back! The long awaited Baja Mali Knindza has arrived for a North American Tour. Check out tour date information in flier! To all the guys staring at Daniela’s gorgeous picture, you better have an extremely heavy dumbell in your hand or else get lost. When I first reached out to Daniela it was no surprise she was responding to me from the gym. Getting her swole on (arguably swell, but I’ll use Daniela’s terminology in this case), I was clearly bothering her and she agreed to reach out when she was done. Four hours later she reached out and I couldn’t believe that she was in the gym that long, apparently this is standard body building procedure, but hey, “no pain, no gain”, right Daniela?. SLM: Daniela, tell us a bit about yourself and bodybuilding, how did you get into it? DK: I started working out when I was 18 years old and immediately fell in love with the changes I saw in my body, after that I decided I wanted to become a personal trainer and learn how my body works with different nutrition. Once I figured myself out I decided I wanted to help others and share my knowledge. After many success stories I was approached by someone who had asked me if I had ever thought about competing in the NPC (National Physique Committee). My first bikini show in the NPC was November 2nd 2013 where I placed second in my class! Once I placed second that automatically qualified me for nationals! After taking a short break from dieting and later continuing, I decided to go for nationals in June of 2014. Unfortunately, I did not do as well as I expected, due to being “too muscular” for my division. Yes, I said too muscular, and yes there is such a things as being too muscular for your division. After nationals I had to make a choice. Do I stay in the bikini division or do I cross over to the figure division? The difference between the two is that bikini is more of a softer look and figure is more of a harder more muscular look. So I decided since I already have the muscle that I would step up my game and cross over to compete with the big girls. As of right now I am in my “bulking” phase and I am growing each day stronger and better! Watch out for me in 2015! It’s gonna be insane with the package I’m gonna bring! SLM: Where are you from back home? DK: I am not from the motherland, I was actually born in Interlaken, Switzerland. My mom is from Zenica and my dad is from Petrovac. SLM: How did your parents end up there, and how was it living there? Do you speak any Swiss languages? DK: They took off before the war, and then my brother and I were born there, after the war ended we were forced to go back or go to Germany. So, we went to Germany and after they wanted to kick us out too. We decided to go to America after that. I speak German and Serbian! SLM: What city do you now live in? SLM: How long have you lived in the states? DK: I’ve been living in the states for 15 years now. SLM: How many times a week do you go to the gym and how many hours a day do you spend there? DK: I’m in the gym 6 days a week and I usually spend a total of 4 hours in the gym! I split my workouts and cardio into 3 different time in the day because realistically who has 4 hours to spend at a gym at once haha. SLM: If you do drink what do you drink? What’s your poison? SLM: When is the last time you had cevapi in a lepina? DK: On Sunday at my grandmas house haha. YUM! Now your making me hungry! SLM: Haha good to hear, was that a cheat or part of the regime? SLM: Where do you spend your time outside of the gym? another job? DK: When I am not at the gym I’m usually at home prepping my food, watching movies, or studying! I’m a homebody I like to stay in. Very rarely will you find me out if my friends don’t drag me out. When I am getting ready to compete FORGET IT! haha. I also work as a personal trainer at L.A. Fitness. SLM: If you were my trainer how long would it take you to see my first pair of abs? DK: That all depends in what kind of shape you’re in and how disciplined you are when it comes to your diet. SLM: Let’s say in bad shape, very bad shape, and I was forced to eat what you told me to and you’re allowed to beat me until I get that last rep in. DK: I am currently seeing someone, but we have not put a title on it so far. SLM: Pity for all the guys out there. SLM: What is a must for a guy to even have a chance? DK: A MUST! For a guy is that he HAS to lift and he HAS to be big! Meaning a bodybuilder like myself. It’s very hard to be with anyone else because they don’t understand why I can’t go out, eat, or drink certain things. I’ve tried to be with people who don’t compete and it always fails. Another must is that a guy had to be intelligent, a gentlemen, and he has to be able to make me laugh. Laughter is the key to my heart next to big guns haha. SLM: What are we going to tell all the Serbian guys after they see your InstaGram pics and this interview? SLM: What kind of music do you listen to at the gym? Any Serbian Music? What’s your favorite song to pump iron to? DK: I can’t listen to just anything! I do listen to Serbian music when I hangout with my Serbian friends. While at the gym I like to listen to hip-hop and rap sometimes I’ll switch it to house music. SLM: At what Serb event would we be most likely to catch you attending? DK: Depending on who is coming singer wise I would probably attend the event, given the fact that I am not getting ready to compete! There is also several Serbian bars and restaurants I enjoy going to with my friends. January is the time to remember Tesla! Please save January 10th 2015 for Tesla! This year’s conference “Let’s Create the Tesla Curriculum” signifies the original platform for Tesla Science Foundation, whose main goal is to incorporate the legacy of Nikola Tesla into the official school curriculum in the United States and around the world. This year we are preparing a first class line-up of expert presenters and we will update you with the final list of participants by mid-October. In the meantime we welcome your suggestions, leads and ideas – and please put this important event on your calendar! 9am – 11 pm Tesla exhibit: Past. Present. Future. Tesla Spirit Awards Gala Benefit program will recognize a number of prominent speakers, dignitaries, artists and distinguished scientific individuals who contributed to promoting Tesla and will receive Tesla Spirit Award in 8 categories. Tesla Bust Unveiling will be a special highlight of the evening. The New Yorker Hotel is the “mecca” for Tesla followers around the world and this will permanently mark the hotel as the one of the historical destinations where Tesla lived and worked for the last 10 years of his life. We hope you will be joining us in January and we want to remind you of our TS Foundation goals and plans as we are planning our 2015 agenda. We ask for your kind support. Tax deductible donation checks should be addressed and mailed to: Tesla Science Foundation, 957 West King Road, Malvern, PA 19355. Thank you very much for your interest. We look forward to your attendance and support. %20%20%20%20″ alt=”” />The Tesla Science Foundation is a 501 (c)(3) nonprofit organization dedicated to promoting the life, legacy, and scientific innovations of Nikola Tesla. Today, our Foundation is the most active Tesla related organization in United States having successfully hosted numerous lectures, seminars, forums, to include our annual Energy Independence Conference. Through its dedicated efforts, TSF has attracted large numbers of scientists, engineers, artists, students and other Tesla enthusiasts worldwide. Visionary and scientist, Nikola Tesla was voted one of the 100 most influential Americans of the 20th Century and is included in the UNESCO Memory of the World register.